RPE Solutions appreciates customer interest in our products and services whether by visit to the website or enquiries on Calls or email. Your privacy is important to us and we want you to feel confident with how we use and share your personal information. This policy sets out how the ultimate parent company of the RPE Solutions and the companies within LURI that are based in the UK handle your personal information, including when and why it is collected, used, disclosed and how it is kept secure & ultimately deleted. You will find our contact details at the end of this policy which you can use if you have any questions, including how to update or access your personal information or to make a complaint. This policy may change, so please check this page from time to time to ensure that you’re happy with any changes. Please see further Changes to this policy in Section 11. This is the first issue of this policy. It is associated with our “Information Security Policy” which sets out the additional security considerations & behaviour expected by RPE Solutions employees that collect or work with personal data & our Computer Systems. 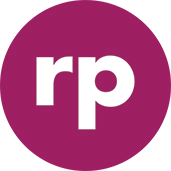 RPE Solutions in the UK is one of a group of companies under the same ownership. RP Europe Solutions is a leading distributor of PAYG Sim cards, supplying SIM cards from all of the major UK network operators to retailers varying in size from small independent retailers to multi-location retail chains. For further details, including a full list of our sister companies, please see 13 below. Where this policy refers to “we”, “our” or “us” below, unless it mentions otherwise, it’s referring to the particular company that is the controller of your personal information. Enquiry details and comments you may have regarding our Services & products. If we make changes, our web servers may store as standard details of your browser and operating system, the website from which you visit our website, the pages that you visit on our website, the date of your visit, and, for security reasons, e.g. to identify attacks on our website, the Internet protocol (IP) address assigned to you by your internet service. We may collect some of this information using cookies – please see Cookies in Section 9.2 for further information. We may also collect any personal information which you allow to be shared that is part of your public profile on a third party social network. Personal information we may receive from other sources: We may obtain certain personal information about you from sources outside our business which may include RPE Solutions companies (Section 13) or other third party companies; the personal information received is as described in the two paragraphs above, Credit checks service suppliers & Companies House are the most common examples. Whenever you deal with RPE Solutions, the ‘controller’ of your personal information will decide why and how your personal information is processed. A Controller is a person that has access to your data for the purpose of processing in accordance with our Business Processes & Procedures for Purchase, Sales, Finance, Customer services, Legal or other legitimate lawful Business reasons. Controllers will strictly follow the rules & guidelines set out in this document, together with our ISO 9001 Quality Policies, Processes & Procedures. To contact you to respond to stock or service enquiries. You may withdraw your consent for us to use your information in any of these ways at any time. Please see Withdrawing your consent in Section 8.4 for further details. We may share your information with other companies within the RPE Solutions. They may use your personal information in the ways set out in How we use your personal information in Section 4, in connection with products and services that complement our own range of products and services, for example finance or insurance products. Please visit About RPE Solutions in Section 13 for the details of our group companies with whom we may share your personal information. We may disclose your information to our third party service providers, agents, subcontractors and other organisations for the purposes of providing services to us or directly to you on our behalf. Such third parties may include cloud services providers (such as hosting and email management) or IT Service Suppliers, administrative services or other third parties who provide services to us. Data may be shared with other companies within our sister companies Franchise Network. They may use your personal information in the ways set out in “How we use your personal information in Section 4” or in connection with products and services that complement our own range of products and services. We have various third parties with whom we work closely to bring you a range of products and services which are complimentary to ours. When you enquire about or purchase one or more of these products or services through us (e.g. via our websites or by direct calls), the relevant third party may use your details to provide you with information and carry out their obligations arising from any contracts you have entered into with them. We may transfer your personal information to a third party as part of a sale of some or all of our business and assets or to any third party or as part of any business restructuring or reorganisation. We may also transfer your personal information if we’re under a duty to disclose or share it in order to comply with any legal obligation (e.g. by sharing your personal information with Law Enforcement), to detect or report a crime, to enforce or apply the terms of our contracts or to protect the rights, property or safety of our visitors & customers. RPE Solutions does not hold data outside the EEA, however this could occur should the company be sold or assets transferred to others as part of a sale. In such cases RPE Solutions will contact you to notify you of the situation allowing you to exercise your rights regarding where your data will be held. With your consent, if we transfer your information outside of the EEA in this way, we will take steps to ensure that appropriate security measures are taken with the aim of ensuring that your privacy rights continue to be protected as outlined in this policy. These steps include imposing contractual obligations on the recipient of your personal information or ensuring that the recipients are subscribed to ‘international frameworks’ that aim to ensure adequate protection. Please contact us using the details at the end of this policy for more information about the protections that we put in place and to obtain a copy of the relevant documents at that time. If you use our services whilst you are outside the EEA, your information may be transferred outside the EEA in order to provide you with those services, this will only be conducted at your request. If we collect your personal information, the length of time we retain it is determined by a number of factors including the purpose for which we use that information and our obligations under other laws. Information will be retained only as long as it is legitimately required for the business purposes for which it was obtained. Where we rely on your consent as the legal basis for processing your personal information, as previously explained in “Section 4 How we use your personal information”, you may withdraw your consent at any time by contacting us using the details at the end of this policy. If you would like to withdraw your consent to receiving any direct marketing to which you previously opted-in, you can also do so using email link at the bottom of this policy. If you withdraw your consent, our use of your personal information before you withdraw is still lawful. Where we rely on our legitimate business interests as the legal basis for processing your personal information for any purpose(s), as set out under “Section 4 How we use your personal information”, you may object to us using your personal information for these purposes by emailing or writing to us at the address at the end of this policy. Except for the purposes for which we are sure we can continue to process your personal information, we will temporarily stop processing your personal information in line with your objection until we have investigated the matter. If we agree that your objection is justified in accordance with your rights under data protection laws, we will permanently stop using your data for those purposes. Otherwise we will provide you with our justification as to why we need to continue using your data. You may also contest a decision made about you based on automated processing by contacting the Data Protection Officer for details see section 12. Where we rely on your consent as the legal basis for processing your personal information or need to process it in connection with your contract, as set out under Section 4 How we use your personal information, you may ask us to provide you with a copy of that information in a structured data file. We will provide this to you electronically in a structured, commonly used and machine readable form, such as a CSV file, Word or PDF. All companies within the RPE Solutions use technical and organisational security measures to protect the personal information supplied by you and managed by us against manipulation, loss, destruction, and access by third parties. Our security measures are continually improved in line with technological developments. 'Cookies' are small pieces of information sent to your device and stored on its hard drive to allow websites to recognise you when you visit. 10.3 We do not generally share your personal information for the purpose of marketing via third parties for them to contact you with marketing information about their products and services. In communication with us, where you have indicated that you would like us to do so, we would recommend that you make contact directly. Third Party Our companies (see About RPE Solutions in Section 13 below). We will review this policy from time to time as changes in legislation come into force or to review it as part of our ISO 9001 commitment to Quality. Any changes will be notified to you by posting an updated version on our website and/or by contacting you by email. Any changes will take effect 7 days after the date of our email or the date on which we post the modified terms on our website, whichever is the earlier. We recommend you regularly check for changes and review this policy when you visit our website. If you do not agree with any aspect of the updated policy, you must promptly notify us and cease using our services, contact details below. If you have any questions, suggestions or complaints about the processing of your personal information or wish to contact us to amend/update your marketing preferences with a UK company within the RPE Solutions, please contact the RPE Solutions Data Protection Officer. RPE Solutions shares customer information with its sister businesses & as such is personal data is controlled in all areas of these business by common policies & standards.